Get the Garden Expertise When You Need it Most! What Makes The PG Plant Experts The BEST Experts Around? They know the plants we carry inside and out because they’re the ones picking and choosing every single variety you’ll find in the PG greenhouse. They know what varieties are best suited to our environment…because they live here just like you and have tried many in their own gardens. They know what’s trending…because they’re the ones on the ground in the PG greenhouses listening & hearing to the varieties you’re looking for. Plus, most importantly, they’re plant people. When they’re not in the PG greenhouse, you’ll likely find them digging in their own gardens…it’s what they love. They’ll answer your questions & ask the right ones, too – providing you with solutions, inspiration, their favorite plant picks, and so much more…so you can have the best garden EVER. Just look for the purple shirts! PLUS! 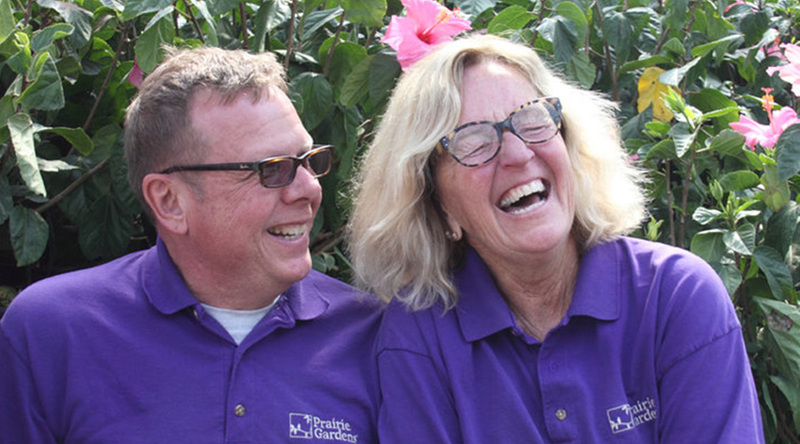 Tune in every Saturday to hear the experts on Plant Experts LIVE Radio Show at Prairie Gardens.